Have you noticed something missing? Ever since OS X Lion, your Mac has been hiding the Library folder. This trend of hiding folders that contain important preferences your Mac uses has continued, even though the Mac operating system name changed to macOS. The Library folder contains many of the resources that installed applications need to use, including application preference files, application support files, plug-in folders, and ever since OS X Lion, the plists that describe the saved state of applications. The user's Library has long been a go-to location for troubleshooting issues with individual applications or components shared by multiple applications. If you haven't heard the refrain "Delete the application's plist," you either haven't been using a Mac for very long, or you've been lucky enough not to experience an application behaving badly. It's not clear why Apple decided to hide the user's Library folder, but there are multiple ways to get it back; two provided by Apple (depending on the version of OS X you are using) and one by the underlying file system. The method to use depends on whether you want permanent access to the Library folder, or only when you need to go there. Once the command is executed, you can quit Terminal. The Library folder will now be visible in the Finder. 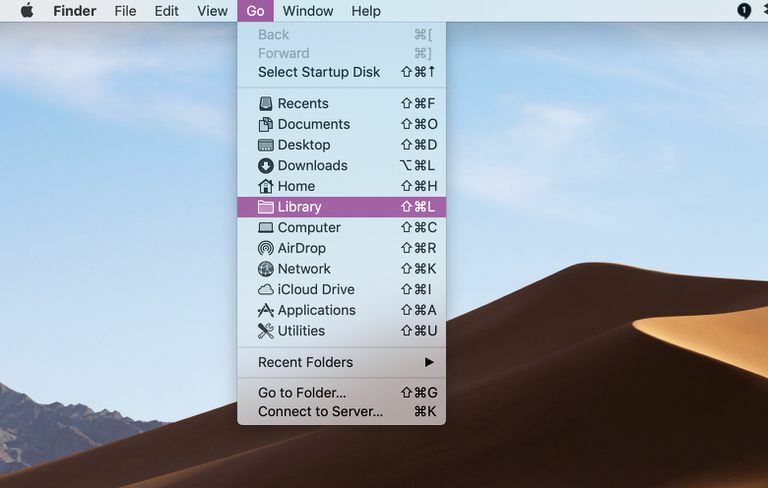 There's another way to access the hidden Library folder without having to make use of Terminal, which has the side effect of revealing every hidden file on your Mac. This method will only make the Library folder visible, and only for as long as you keep the Finder window for the Library folder open. With either the desktop or a Finder window as the frontmost application, hold down the option key and select the Go menu. The Library folder will be listed as one of the items in the Go menu. Select Library and a Finder window will open showing the contents of the Library folder. If you close the Library folder's Finder window, the folder will once again be hidden from view. If you're using OS X Mavericks or later, you have the easiest way of all to permanently access the hidden Library folder. This is the method we use, and we recommend it for anyone who wants permanent access and isn't worried about accidentally modifying or deleting a file from the Library folder. Open a Finder window and navigate to your Home folder. From the Finder menu, click View > Show View Options. Place a checkmark in the box labeled Show Library Folder.